Chinese yam (huáishān 淮山 in Chinese) is quite often used in making soups. It helps to lower blood sugar and cholesterol, revive our appetite and contains antioxidants. I love adding some goji berries as they’re good for eye health. So this Chinese yam and goji soup is so nourishing. Tastewise, it’s very delicious. 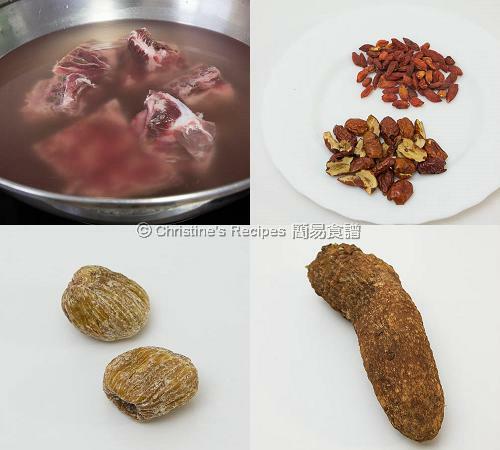 You can see the recipe below that pork bones, several red dates and dried scallops are added to create a depth of flavours. Give it a try. Your family will like this soup as much as we do. Rinse the pork bones. Put them in a pot of water. Heat over high heat. Cook and blanch to remove blood and impurities. Drain up and rinse with tap water. Set aside. Peel the Chinese yam. Remember to put on a pair of gloves as its sticky juice might cause skin allergy. In a large pot, pour 2½ liters of water. Put all the ingredients, except the salt, into the pot. Cover and cook on high heat. 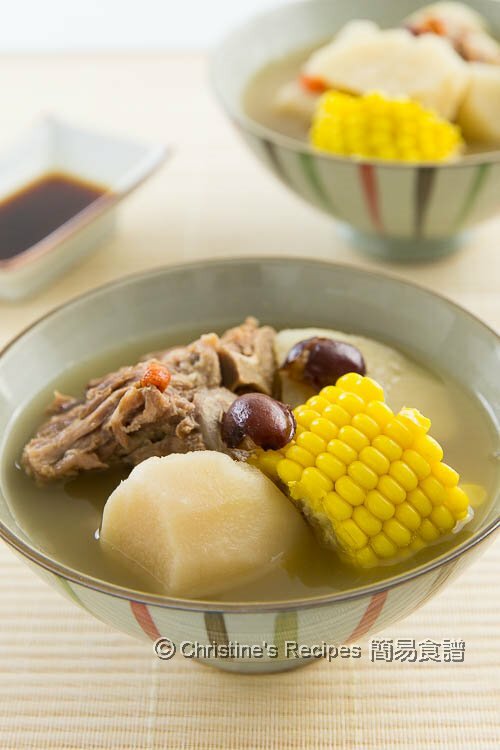 When it boils, reduce the heat and simmer for 1 to 1½ hours, or until the flavour in soup is developed well. Season with salt. Serve immediately. The red dates need to be deseeded. Yet, there’re deseeded, dried red dates available at Asian grocers for convenience. Chinese yam can be found at any Asian grocery. 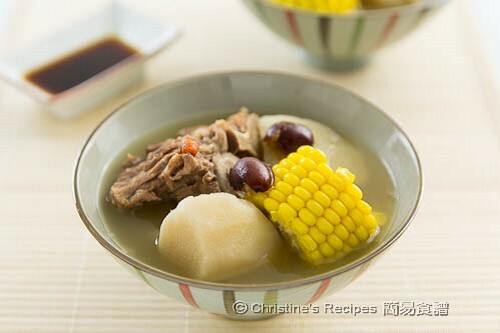 This has me miss my mom's pork ribs soup :-) Yours looks very flavourful and yummy.